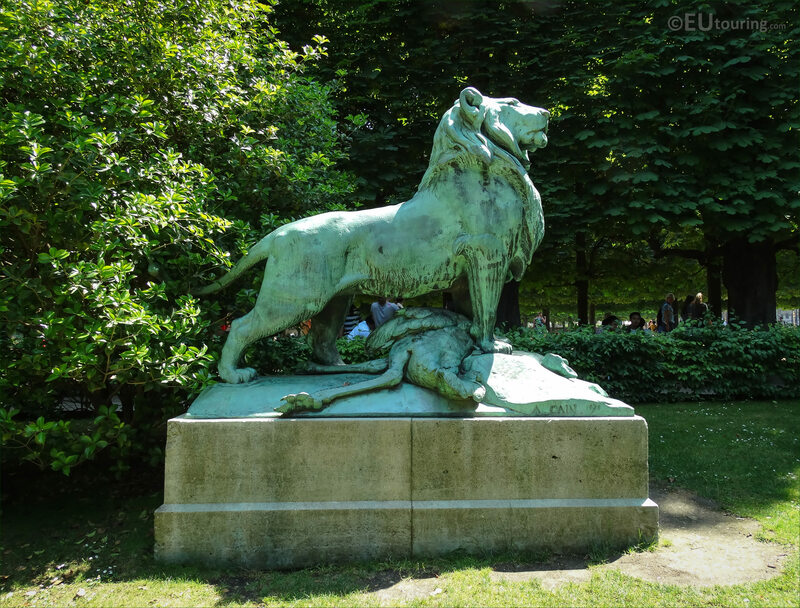 This time while we were walking around the Jardin du Luxembourg in the 6th Arrondissement of Paris admiring numerous different statues, we took these high definition photos showing Le Lion de Nubie et sa Proie by the famous French sculptor Auguste Cain. 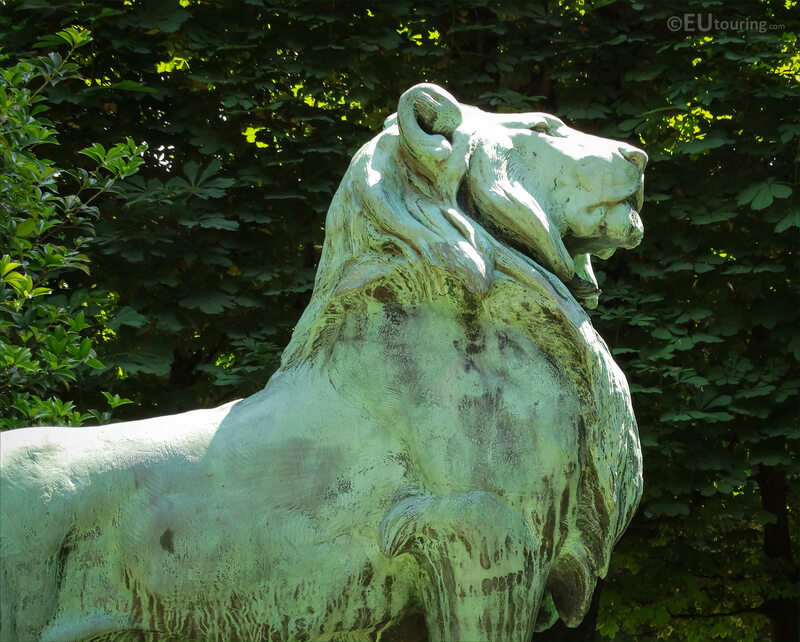 This first HD photo shows the bronze statue called Le Lion de Nubie et sa Proie, which translates in English to The Lion of Nubia and its Prey, that is placed on a stone base within the Luxembourg Gardens. 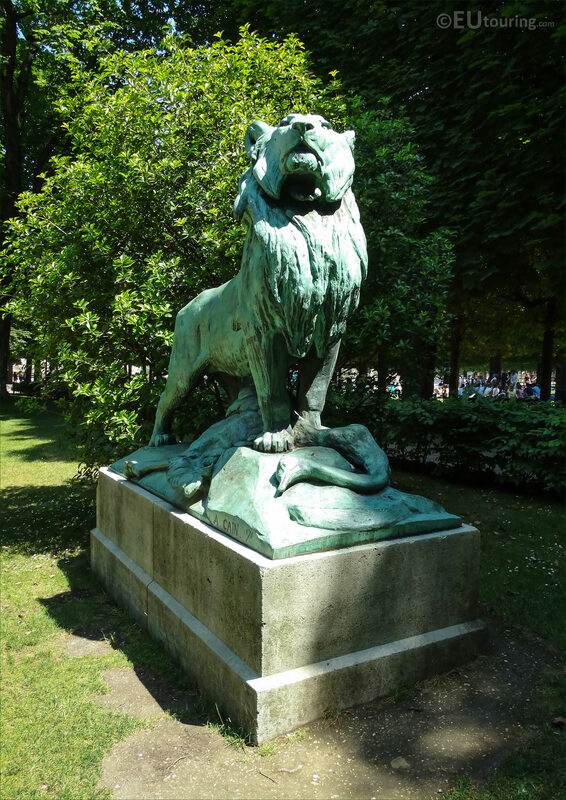 And here you can see a front view of the lion that was based upon a Nubian lion, sometimes called a Barbary lion or Atlas lion, which is the largest lion in the world, although now extinct in the wild, but originally preferred mountainous areas, and hence why you can see rocks the lion is standing on. 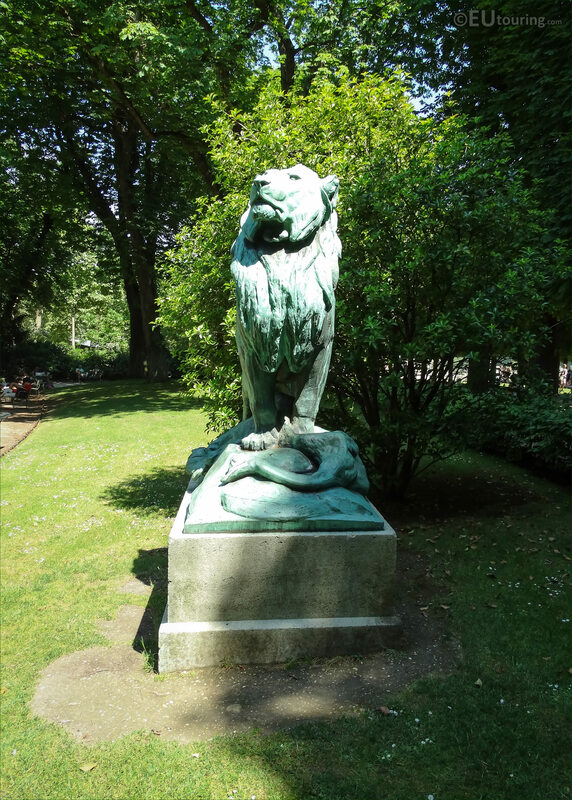 So as you can see here, the bronze lion statue is standing proudly over its prey, which in this case is an ostrich, although traditionally this would not have been one of its prey, but the artist, Auguste Cain used lots of different prey when depicting lions within his statues. 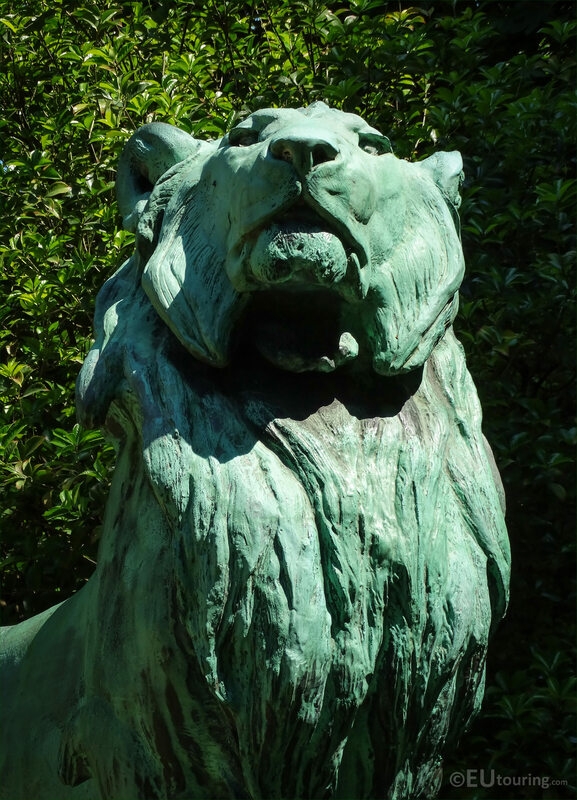 And in this close up HD photo you can see the detail that went into this sculpture, which was produced by Auguste Nicholas Caïn who was born in Paris in November 1822 and becoming a French sculptor he became well known for his precise and realistic portrayals of wild and domestic animals. 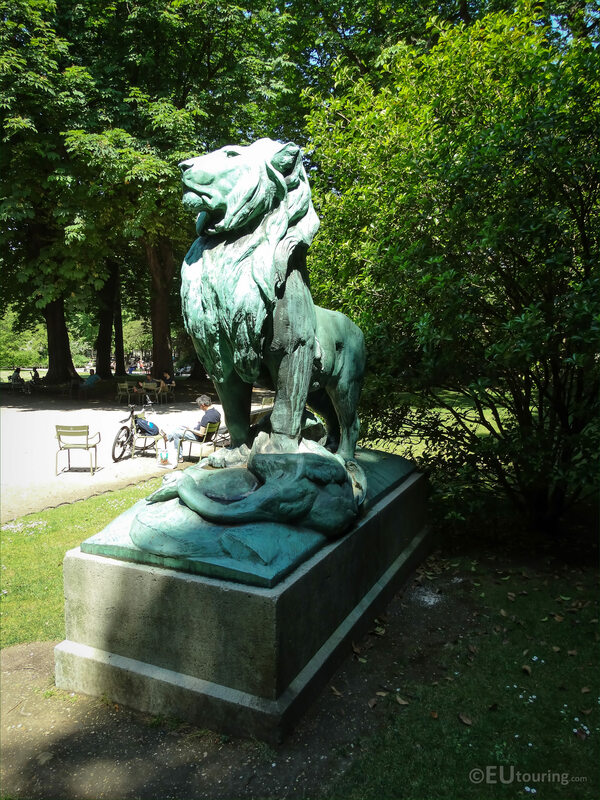 In fact Auguste Cain exhibited more than thirty different models at Paris Salons between the mid 1840s and the late 1880s, and the plaster model of Le Lion de Nubie et sa Proie was first exposed at the 1870 Salon, number 4317. And the plaster model was acquired by the French state for the sum of 3,500 Francs, under a ministerial decision that was dated 11th June 1870, with the order to cast the bronze version being made in the August of 1872. 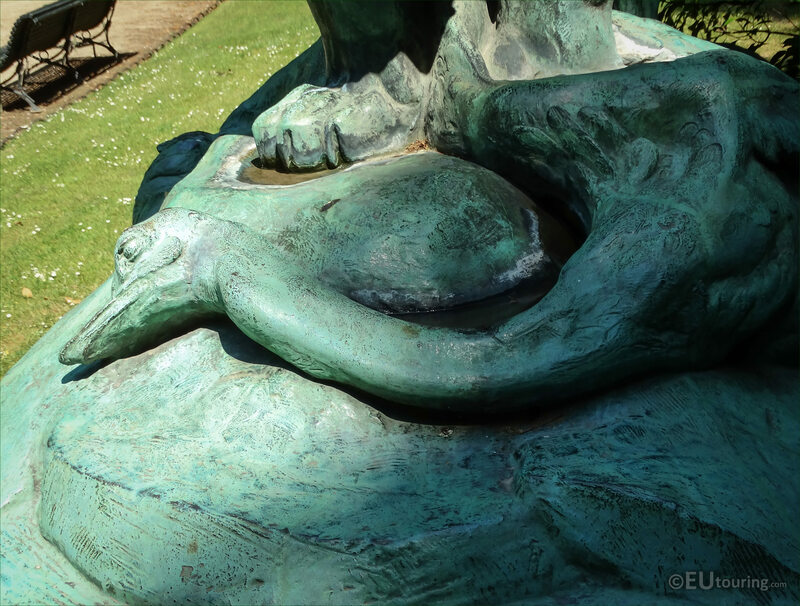 So this close up photo shows the main part of the ostrich which the male lion had just killed, and the bronze statue called The Lion of Nubia and its Prey was introduced into the French Senate in March 1874 by the Fine Arts Department. 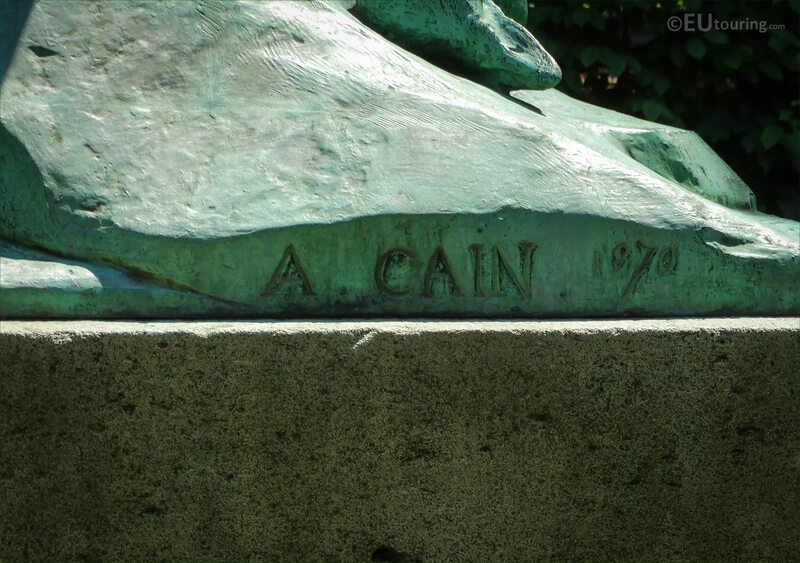 Yet this next close up image shows the name of the sculptor Auguste Cain along with the date of 1870 at the base of the statue close to where you see the head of the ostrich, which as you read earlier, was when the plaster model was first produced prior to being cast in bronze. 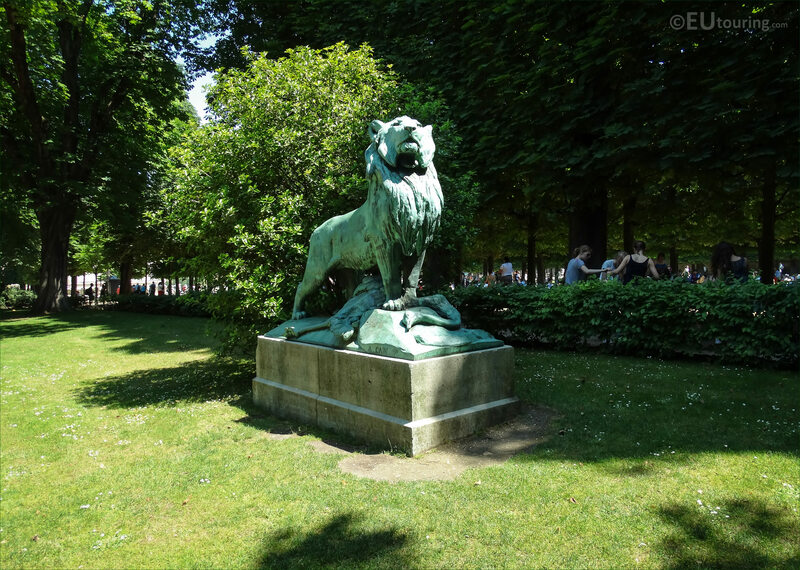 Now this last photo again shows the whole statue that stands at 2.2 metres in height not including the base, and this is located in the southern part of the Luxembourg Gardens to the left hand side of the main formal gardens as though you are looking towards the Palais du Luxembourg.